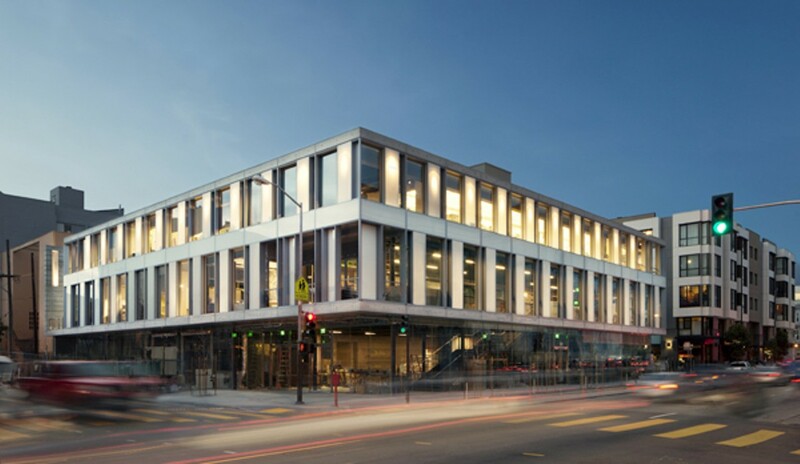 The new SFJAZZ Center was funded almost entirely by private donations. Suzanna Smith, an Oakland jazz vocalist, is tired of hearing the question "Is jazz dead?" "I don't think it's any more dead than it ever was," said Smith, who has a sandpaper voice that turns warm and smooth when she sings. "It's just morphing and changing and staying alive and popping up where it can like a weed." The mercurial nature of the jazz scene couldn't be any more evident than in the Bay Area. Just last week Yoshi's San Francisco dropped "Jazz Club" from its moniker and rebranded itself as "Live Music and Bay Area Japanese Cuisine," which was unsurprising to those who have followed the venue's struggles. Meanwhile, San Francisco's Hotel Nikko recently ended its lease with the Rrazz Room, forcing the well-established jazz and cabaret venue to relocate this month. And yet, there's hope too: The SFJAZZ Center will open this month, alongside the San Francisco Opera and Davies Symphony Hall, in the first stand-alone building in the country built for jazz; and an Oakland-based nonprofit jazz venue, The Sound Room, which Smith helped establish, also opened recently. Perhaps the better question, than "Is jazz dead?" is "Are jazz clubs dead?" Civic leaders, educators, and music historians seem thrilled by the growing reach of jazz via the nonprofit model, but as an inherently improvisational and collaboration-based art, jazz music will always depend on a connection between the audience and the stage, a connection that happens more naturally in a club. "The club model still works," said Lisa Bautista, Yoshi's director of marketing and public relations. Bautista said the name change simply reflects five years of evolving programming in the San Francisco venue. While Yoshi's Oakland has always kept its head above water, the second location in San Francisco is currently operating at three times higher than industry average operating costs, Bautista said. On December 18, a San Francisco court ordered the multiple owners of Yoshi's SF to enter mediation to restructure the club's long-term debt. Yoshi's founders Kaz Kajimura and Yoshie Akiba declined to comment for this article. The SFJAZZ Center opens with the intention of presenting "music that influences or has been influenced by jazz," rather than just jazz. "The club model was never one that was strong in the world of jazz," said Randall Kline, founder and artistic director of SFJAZZ. Kline said that when he watched San Francisco clubs closing in the early Eighties, he asked himself: "If you wanted to pay respect to this great American art form, what would be the best way to grow it?" In 1983, Kline got a $10,000 grant from San Francisco's Grants for the Arts Hotel Tax Fund to start the Jazz in the City festival. "We lived through a lot of those eras of nonprofit development for arts organizations, and we were the jazz organization doing it," said Kline. The National Endowment for the Arts, which awarded its first grant for jazz in 1970, was another prominent funder. Jazz in the City quickly developed a strong philanthropic base and doubled its budget every three years for its first fifteen years, according to Kline. Today, the SFJAZZ Center is a symbol of just how far it has come: Built with a $63 million capital campaign funded almost entirely by private donations, the center was designed by architect Mark Cavagnero with a main auditorium that can fit 300 to 700 seats, glass walls that merge the sidewalk with the main lobby, green rooms with terraces overlooking Franklin Street, murals depicting the history of jazz in the city and country, and a restaurant helmed by Slanted Door chef Charles Phan. Ironically, Kline admitted that SFJAZZ has grown as an institution at the same rate the local scene has diminished. "There aren't a lot of Bay Area artists who can command a big audience," Kline said. "There's a big handful, but there's not a bushel." The paradox is a familiar one: Without enough clubs to play, musicians leave for bigger cities, but without enough musicians to feature, the clubs can't stay afloat. "All live music in recent years has experienced challenges due to the downturn in the economy," said Dianthe Spencer, chair of the School of Music and Dance at San Francisco State University. "Jazz is just one of many genres facing audience challenges." A new jazz performance space that opened at 2147 Broadway in Oakland late last year, The Sound Room, also follows the nonprofit model. Like SFJAZZ's, its owners, Karen Van Leuven and Robert Bradsby, slowly built an audience, starting in 2009, by hosting monthly jazz concerts in their home after the closing of local clubs like Anna's Jazz Island in Berkeley, Kelly's in Alameda, and Pearl's in San Francisco. Two years later, they collaborated with Smith to become an official nonprofit — Bay Area Jazz & Art (BAJA) — and started looking for a public performance space in 2012. The Sound Room was still bare bones as Van Leuven and Bradsby set up for a recent Saturday night show — a grand piano on a Persian rug, surrounded by simple black tables and chairs and soft blue track lighting. Its windowed walls have a fishbowl effect of drawing in foot traffic on Broadway. "We really wanted it to be a listening room with not much separation between the audience and performer," Van Leuven said. The Sound Room isn't swimming in grants or private donations like SFJAZZ was in its early days, but its goals seem more modest. Van Leuven said she and Bradsby chose a nonprofit model because it's more "eyes wide open" than the club model. Van Leuven is a full-time professor at the University of San Francisco and a practicing nurse, and her husband, Bradsby, is an architect. Van Leuven said they plan to keep slim margins — pay the rent, keep the lights on, pay the artists a fair wage — to create a place that's accessible to those who can't afford a $35 cover and two-drink minimum. As more jazz performance venues take the nonprofit route — which includes a strong focus on community and education — the improvisational nature of jazz may be at risk. Smith, who counts herself lucky for having learned to sing on the bandstand, said she worries there are not equal opportunities for new artists to grow onstage. "What's that next step up when you've done all the crappy bars, and you're not going to do cafe gigs any more? Maybe once a year you can do Monday night at Yoshi's Oakland and harass every single person you know to fill the seats," Smith said. She hopes The Sound Room can fill that void by partnering with other nonprofits and performance venues like Oaktown Jazz Workshop, Oakland School of the Arts, Piedmont Piano, and Uptown Body and Fender to host jam sessions, open mics, and master classes before a live audience. 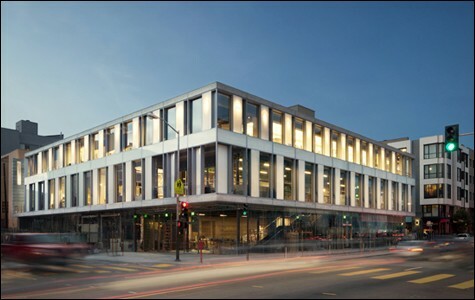 SFJAZZ could also showcase local musicians, with its smaller, eighty-seat practice and performance space — a room also lined with windows and visible to passersby on Fell Street. Kline said they plan to host new artists there and help them build a following. "We're all in it together," Kline said. "'All boats rise in a high tide' is what everyone hopes for." Two Oakland musicians balance touring and parenthood. The Bay Area indie-rock band gains traction on HBO's True Blood.